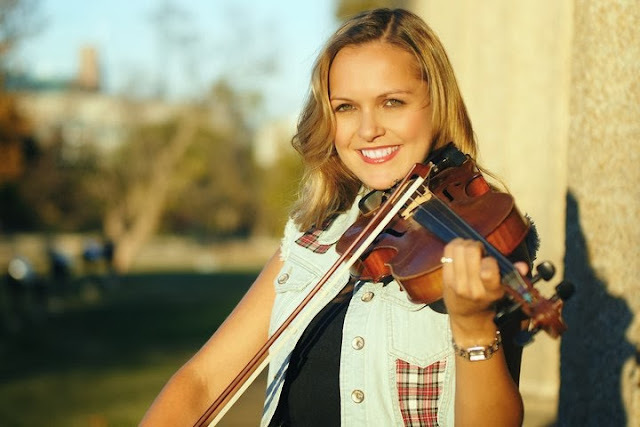 Introducing Laura McGhee, the Scottish/Americana singer/songwriter/fiddler/guitarist who hails from Dundee and has now made her home in Nashville. She was raised on Celtic roots, folk and country music and has been hailed by the London Times as the "Musical Heroine of the Y Generation". She first hit the American roots scene while performing with Pete Seeger in New York. Since that time, she has performed with the great Odetta, Ricky Skaggs, Jim Lauderdale, the Pogues & Shane McGowan, Oscar Brand, Ian Hunter, Josh White, Jr., David Amram, and Runrig. Her album Celticana, recorded in Nashville, garnered rave reviews and strong airplay on both sides of the ocean and stayed for ten solid weeks on the Americana Top 40 Chart from May to July of 2010 (unprecedented for a Scottish artist). 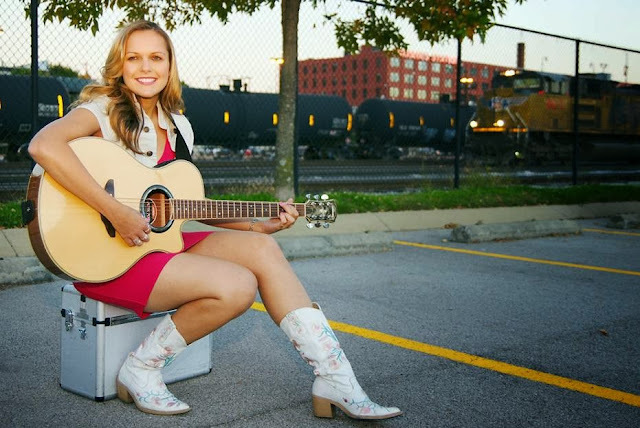 Laura recently toured with John Carter Cash & John McEuen of Nitty Gritty Dirt band on the 'Will the Circle Be Unbroken Tour-songs of the Carter family', to pay homage to their place in country music history. From the famous 1927 Bristol sessions when they made their first recordings the Carter family became the first commercial vocal group in country and made a profound impact on American music. The Melodic will be back in the UK in time for Xmas and winter touring!!!! The Melodic - "Ode To Victor Jara"
Hailing from Settle in the Yorkshire Dales, and possessing a voice that has been compared to some of the soul greats, Newman began playing guitar and writing his own songs aged just 14 and soon learned how to record and produce himself, making his own house tracks and DJing. A few years later and all the influences start to stack up to form the basis of John’s sound. Think the pure soul and groove of early Stax and Motown, add a dash of James Brown and Prince, a smattering of Black Keys, and mix it all together with a bit of Dangermouse. It’s all in there, it’s all great, but what really hits you is the voice. That Voice. 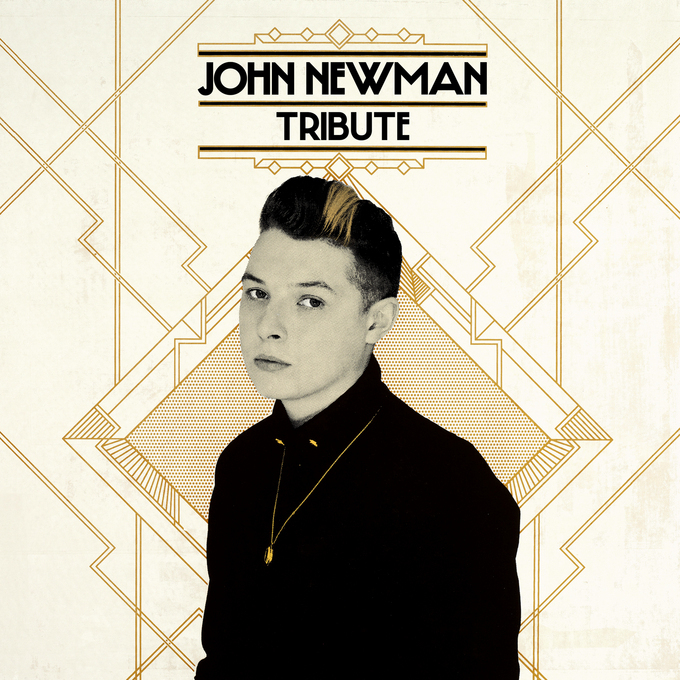 This collection of eleven self-penned songs illustrates that behind that amazing voice lies a rare and exciting artist who is ready to claim his place at the top table. The 3rd February 2009, marked the 50th Anniversary of rock 'n' roll legend Buddy Holly's death in a plane crash. Fellow performers Ritchie Valens and "The Big Bopper", J P Richardson also died on the flight which took off from Clear Lake, Iowa to Fargo, North Dakota on that freezing night in 1959. Buddy Holly & the Crickets' first international hit was "That'll Be the Day" in 1957, Buddy was the first musician in his home town of Lubbock, Texas USA to have a red Fender Stratocaster. Back in the UK, Cliff Richard was the first rock 'n' roller to buy this most coveted item for Shadows' guitarist Hank Marvin. Hank Marvin and his red Stratocaster was an inspiration to 60s guitar legends such as Dire Strait's Mark Knopfler, Pink Floyds' Dave Gilmour and Pete Townsend of the Who. Buddy Holly's song-writing and great guitar riffs also influenced The Beatles and the Rolling Stones. Today you can still get hold of an iconic Fender Stratocaster. The Fender Telecaster debuted in February 1951, it's simple design has hardly changed. The Telecaster was important in the evolution of music including country, electric blues, funk and rock and roll and has been played by some of the most notable guitar legends through the decades including Waylon Jennings, Ricky Nelson, Chet Atkins, Elvis Presley, George Harrison, Merle Haggard, Eric Clapton, Muddy Waters, Keith Richards, Francis Rossi, Rick Parfitt, Andy Summers, Jeff Beck, Jimmy Page, Joe Strummer and Dave Knopfler. “Watching Movies With The Sound Off” is the critically acclaimed follow up to Mac’s 2011 debut “Blue Slide Park”. Mac pulls in features from the cream of the most talked about hip hop artists of the moment, including Odd Future’s Tyler, The Creator, Action Bronson and more. Brainfeeder’s Flying Lotus produced “S.D.S.”, and further production duties come from the legendary Pharrell Williams, Diplo and Clams Casino. Mac has just completed a huge tour in the US which ran throughout the summer, with support from Earl Sweatshirt, Action Bronson, Chance The Rapper, The Internet and more. Mac returns to Europe once again in October, touring with Lil Wayne and 2 Chainz. Look out for Mac Miller continuing his rise to dominance in the international music world in 2013 and beyond. Grammy Award-winning multi-platinum superstar, entrepreneur, actor, and philanthropist, NELLY, who has sold almost 100 million albums and singles in his 13 year career, releases his brand new album, “M.O.” on September 30th. 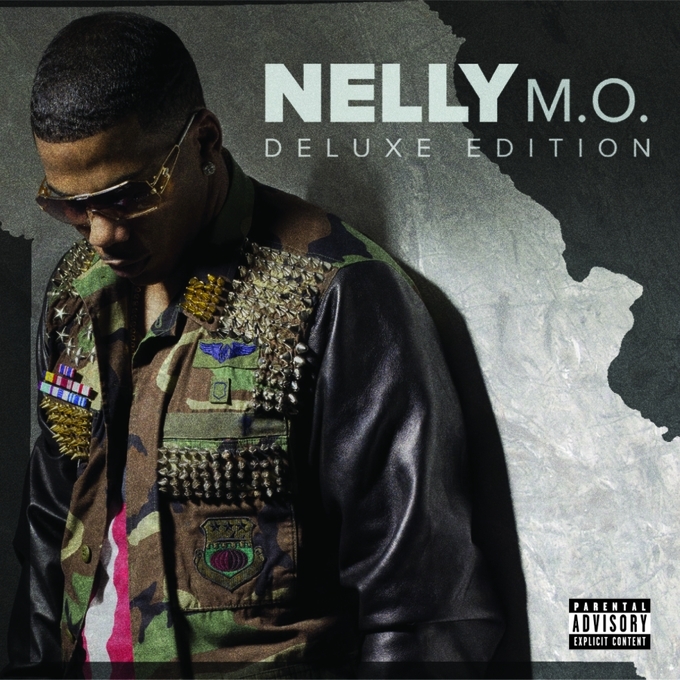 The album, Nelly’s 7th, includes his hot new single “Get Like Me” where the St Louis superstar joins forces with two of the world’s hottest stars Nicki Minaj and Pharrell. The single is the follow up to Nelly’s recent major hit “Hey Porsche" and his current US megahit "Cruise" (Remix), recorded with his friends, the country duo, Florida Georgia Line. “Hey Porsche” incredibly gave Nelly his 22nd charted Top 40 song, making him tied for 11th most charted Top 40 hits artist of all-time. Grammy Award-winning multi-platinum hip-hop superstar Drake who recently returned with his sumptuous new single “Hold On, We’re Going Home” (#5 in the UK chart), follows up with the release on September 29th of his feverishly anticipated new album “Nothing Was The Same”. Nothing Was The Same is released on Young Money/Cash Money Records/Island Records and promises to be one of the biggest releases of the year. Drake recently also featured on friend, and fellow Toronto native, The Weeknd’s single “Live For“. 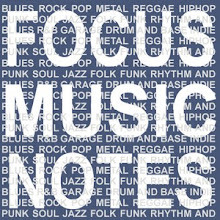 The album was produced by long time musical partner Noah “40” Shebib and Jay Z features on the track “Pound Cake/Paris Morton Music 2” which contains elements of Ellie Goulding’s “Don’t Say A Word.” Other featured tracks include Started From The Bottom”, “Tuscan Leather”, “Worst Behaviour”, “305 To My City” and “Wu-Tang Forever”. Just had news in from The Melodic that their debut album "Effra Parade" is now available to pre-order from ANTI- Records, home of Tom Waits and Calexicos. It's been a long long journey for them getting to the point of being able to release this record so they are thrilled to be able to unleash it so soon. Check out the new video to "On My Way" which was filmed during their time in LA at the end of the West Coast tour they have recently completed. Currently touring the East Coast including New York, Philadelphia and Pittsburgh with the fantastic Sarah Lee Guthrie and Johnny Irion, they are also trying to raise money to put towards buying a band van which will keep them touring. By teaming up with Pledge Music they are offering personalised Cd's and Tee's, videos, album listening sessions, studio time and private gigs etc, they we will be donating 5% of funds raised to the ABC trust charity. Check the remaining dates below and do let people know they are on their way if you know people in the area. On top of these dates there will be a special show in New York with friends Johnny Flynn and The Sussex Wit on 23rd September at the Williamsburg Hall of Music. They will be based in New York until October so keep checking theirr dates on facebook as we will be announcing many more shows there in the coming weeks.The Melodic will be back in the UK in time for xmas and winter touring!!!! FILTH, the Original Soundtrack album for the eagerly anticipated film adaptation for the novel of the same name written by Irvine Welsh (Trainspotting), is released through Island Records on September 23rd. The album is packed with all-time classics featuring among others, The Shirelles, Billy Ocean, Tom Jones and Wilson Pickett, plus original music by Grammy nominated composer Clint Mansell (Black Swan, Requiem For A Dream). The 12-track album is a collection of established hits and classic songs, which play a memorable and integral role in the film. “Filth” is filled with a stellar cast of British actors, starring Golden Globe nominated actor James McAvoy (X-Men: First Class), BAFTA winning Jamie Bell (Billy Elliot) and Imogen Poots (Fright Night). “Filth” will be released in Scottish cinemas on September 27th, and a week later for the rest of UK. Written by Jon S. Baird who also directs, “Filth” is produced by Ken Marshall, Will Clarke and Irvine Welsh. James McAvoy (X-Men: First Class) gives the performance of his career and he is joined by a fantastic cast, including Jamie Bell (The Adventures of Tintin), Imogen Poots (Fright Night), Oscar winning actor, Jim Broadbent (The Iron Lady), Joanne Froggatt (‘Downton Abbey’), Shirley Henderson (Trainspotting), Eddie Marsan (The Illusionist), Emun Elliott (Prometheus), Martin Compston (Sweet Sixteen), Shauna Macdonald (The Descent) and Gary Lewis (Gangs of New York). Scheming Bruce Robertson (James McAvoy), a bigoted and corrupt policeman, is in line for a promotion and will stop at nothing to get what he wants. Enlisted to solve a brutal murder and threatened by the aspirations of his colleagues, including Ray Lennox (Jamie Bell), Bruce sets about ensuring their ruin, right under the nose of unwitting Chief Inspector Toal. As he turns his colleagues against one another by stealing their wives and exposing their secrets, Bruce starts to lose himself in a web of deceit that he can no longer control. His past is slowly catching up with him, and a missing wife, a crippling drug habit and suspicious colleagues start to take their toll on his sanity. The question is: can he keep his grip on reality long enough to disentangle himself from the filth? Ray Foxx released his seminal debut single ‘The Trumpeter’ in 2011, which like many underground house hits, began life as an instrumental. When R&B songstress Lovelle added her vocals, it became ‘La Musica (The Trumpeter)’, and went on to get an official release, fast becoming a huge summer dancefloor smash and kickstarting a revival of house music to mainstream ears. Now, Ray Foxx returns with his new single ‘Boom Boom (Heartbeat)’ on August 12th, a joyful and uplifting club track, featuring the luscious vocals of London based singer and Wookie collaborator Rachel K Collier. Already gaining strong radio support across Radio 1, 1Xtra Capital FM and with remixes from Crazibiza, Taiki & Nulight, Rivaz, L Plus and Ray himself ‘Boom Boom (Heartbeat)’ looks set to be another summer anthem. 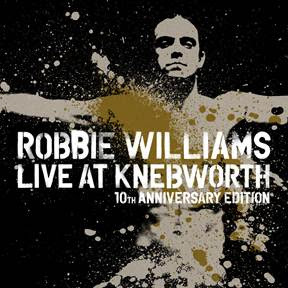 A decade since his incredible live performances at Knebworth, the biggest UK pop concert ever, Robbie Williams releases ‘Live At Knebworth – 10th Anniversary Edition’ on 29th July 2013. The remixed and remastered DVD commemorates ten years since this monumental three-day live experience, drawing crowds of over 375,000 and a further 3.5 million who watched live on television and online. It will be available in HD and Blu-Ray for the first time and includes two never-seen-before performances. A Deluxe Box Set will also be available with a 60-page book containing a new Robbie Williams interview and commentary by Chris heath and iconic images from the three shows. The Deluxe Box Set contains: • 60 page book including new Robbie Williams interview and commentary by Chris Heath and iconic images from the 3 shows. Kelly Rowland released her hotly anticipated fourth full-length solo album, “Talk A Good Game” on June 17th, the follow up to 2011’s “Here I Am”. In order to prepare audiences for what's to come on the album, Kelly recently unleashed the seductive and sultry hit "Kisses down Low", its video has accumulated over 11 million views on http://youtu.be/V0DJUTgkUIA. Kelly has invited a bevy of heavy hitters to join her on “Talk A Good Game”. Wiz Khalifa's breezy flow punctuates "Gone" with smoky elegance, while Pharrell Williams heats up the incendiary "Feet to the Fire". "You Changed" see’s Kelly once again collaborate with her former group members Beyonce and Michelle Williams. Production comes courtesy of Mike Will, Harmony, The Runners, Pharrell Williams, The-Dream, and more. As a founding member of Destiny's Child, Kelly has cumulatively sold over 20 million albums worldwide. The former X-Factor UK host has been honored with a total of 5 Grammy Awards, 16 Billboard Music Awards, 15 Soul Train Awards, 4 American Music Awards, 2 MTV Video Music Awards, 1 BRIT Award, 1 BET Award, a Star on the "Hollywood Walk of Fame", and more. However, Kelly’s primed for even bigger things on the horizon. Be prepared to “Talk a Good Game” with Kelly Rowland. Jamie Cullum today announced that ‘Edge Of Something’ is to be the second single to be released from his new album ‘Momentum’. The song will be released on July 15th through Island Records. ‘Momentum’ is a confident departure from Jamie’s previous work, hailed by critics as some of his best work to date, experimenting with a more accessible sound; big songs with lots of interesting shades, whilst still managing to inject what Jamie does best as a jazz pianist. ‘Edge Of Something’ epitomises the spirit of adventure and infectious nature of ‘Momentum’; it’s the sound of an artist on a creative roll, bursting with ideas and inspirations. An autumn tour has just been confirmed that will begin on October 14th at the Olympia in Dublin and will take in 16 UK dates including; Belfast, Edinburgh, Birmingham, Manchester and the Roundhouse in London. Jamie has also been confirmed to play at Radio 2’s Live In Hyde Park Festival on September 8th. The Montreal quartet will release ‘Dark Eyes’ through Glassnote/Communion/Island Records on the 1st July 2013. It will be preceded by a new single, ‘Call Me In The Afternoon’, on the 24th June. Recorded in Montreal, the album was produced by the band alongside Nygel Asselin, Daniel Legace, and Jim Eno. Its release will be surrounded by a handful of UK live shows including two performances at the Glastonbury Festival, and a headline show at Village Underground in London. ‘Dark Eyes’ Tracklisting: Full Circle, Call Me In The Afternoon, No More Losing The War, She Wants To Know, Need It, Give Up, Judgement, Unofferable, Drug You, Nerve, Fire Escape, 21 Gun Salute. Sam Martin, one half of the songwriting team behind Youngblood Hawke’s debut album ‘Wake Up’, which charted at #11 on the iTunes album chart in the US (it was Editors Choice) – describes their sound the best: "It has elements of pop, rock, indie and dance." The band’s first single to be taken from the album ‘We Come Running’ - which will also be released on 5th August, already has a string of accolades behind it including over 1.8 million YouTube video hits, a Top 25 in Billboard’s Hot AC chart, a Gold sales status in Australia and features in an international Coke commercial due to hit the UK this summer, encapsulates that sentiment. A propulsive beat builds alongside shimmering bells as Martin's massive refrain soars. "It's like a personal message to the band," the vocalist reveals. "It announces that if we work our asses off, they're going to hear the sound when we come running. We're going to get our chance." Alongside his longtime friend and multi-instrumentalist Simon Katz, the duo, who saw critical acclaim and worldwide success as founding members of Iglu & Hartly and had a Top 5 hit in the UK with ‘In This City’ in 2010 before the group dissolved, spent the following summer feverishly penning songs in Katz’s Los Angeles studio for what would become Youngblood Hawke’s debut album. Galvanized and reinvigorated, they emerged with over one-hundred ideas and a fresh perspective altogether. Martin admits, "We didn't begin by saying, “We're going to start a new band'. It was more of an outlet to express ourselves. It was the most natural thing I've ever done. There was no plan." There didn't need to be a plan because their songs were so anthemic and uplifting. In early 2011, with Katz's childhood best friend Tasso on guitar, Alice on backup vocals and live percussion, and Iglu & Hartly touring drummer Nik, they began booking local gigs and releasing material. Based on the strength of the tunes and a completely organic buzz they sold out a string of nights at Silverlake hotspot, Satellite. Soon, Universal Republic Records contacted them and offered a deal. The quintet's moniker also reflects the glorious serendipity at the heart of its journey. Nodding to the Herman Wouk novel of the same name, it's utterly a propos. "I was looking for a new book to read," remembers Martin. "My dad called me out of the blue, and he was like, 'Your uncle's favourite book is Youngblood Hawke. You have to read it'. It really resonated with us as a story about an artist finding his way." At the end of the day, these artists have found their way in Youngblood Hawke, and the path is brighter than ever. "We've seen the bottom and the top," concludes Katz. "Things get bad, and then they get good again. The music is about being hopeful and never giving up." Youngblood Hawke kicked off 2013 supporting Keane on the US leg of their Strangeland Tour, followed by a Passion Pit tour and a series of shows at SXSW including an exclusive Spotify live stream event alongside Kendrick Lamar. This summer they will embark on a headline US tour before heading to the UK in July.